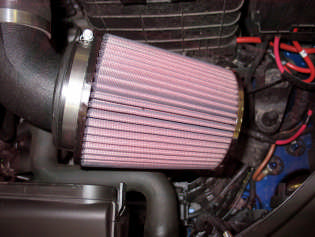 Let your engine breathe better by replacing your boring factory air filter with our K&N Intake! Replacing your VW's intake is a crucial component to change with modifying your VW with performance in mind. It is a great compliment to an exhaust system, but will also improve your car's performance on its own. Performance gains vary from vehicle to vehicle but a noticeable audible “growl” by the intakes’ open concept is evident as well as the smoother acceleration across the power band. -Ideally, you'd want to keep gasses moving quickly and efficiently before and after combustion. 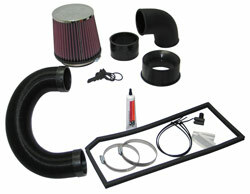 -Factory intakes are designed to be quiet and filter well, which is restrictive on your airflow. -The oem airbox is limited in both design and materials due to the cost prohibitive nature of making mass produced airboxes that can be used for multiple platforms and engine layouts. -Aftermarket Intakes are relatively inexpensive and are a great value for your money. -Most cars can gain over 8hp simply by replacing the intake.